I am currently the Lead Academic Mentor at Newham Sixth Form College (NewVIc) where I am responsible for mentoring students from art, media and IT courses, helping them develop independent learning skills. I work with a fantastic team of 6 mentors to support students and it is fulfilling seeing students go from being relatively disorganised and overwhelmed by their work to becoming motivated learners who no longer need your help (but will occasionally pop in to share good news like achieving an A in a mock exam!). I remember enrolling at NewVIc, the hustle and bustle, the lines, the assessments, the apprehension of leaving behind old friends and making new ones. I thoroughly enjoyed my time at NewVIc because I was challenged by my teachers and tutors, I was not left to stagnate, and they pushed me to succeed and to achieve. I studied A Level English Language (A*), A Level Textiles (A*), AS Level Law (A) and a BTEC National Diploma in Interactive Media Production (Distinction), I had brilliant teachers who were always on hand to help; Simon Birchall, Nadia Keeley, Saci Lloyd, Chris Leach, Louise West, Charlotte Amore and Nelson Bayomy to name a few. I achieved my degree in Games Design from the London College of Communication, University of the Arts London, part of one of the biggest art and design communities in Europe. Working in teams of up to 4 people I helped to produce 6 games using Unity, Flash ActionScript and Microsoft XNA. We went from sketches on the back of a hand-out to digital playable prototypes working to set briefs and creating dozens of storyboards for each potential idea. The course was underpinned by contextual studies lectures in media and semiotics. People always ask me “Why games design?” Well, game design is an incredible amalgamation of so many different disciplines; level design, graphic design, user interface design, landscape art, urban art, character design, 3D modelling, storyboarding, animation, concept creation, pitching, programming, storytelling, marketing and so much more. When I was offered the chance to be a part of the mentoring team at NewVIc, I jumped at the opportunity and was excited at the prospect of working with young people to help them with their academic endeavours. The transition from student to employee at NewVIc is a brilliant experience. It required a massive shift in perspective and I took a lot from my recent experience as a graduate. The environment promotes personal and professional development at every corner and it was certainly true that you hit the ground running come September. Being on both sides of the UCAS application process is a unique experience. On the one hand I’ve been that student deciding which five universities to select. 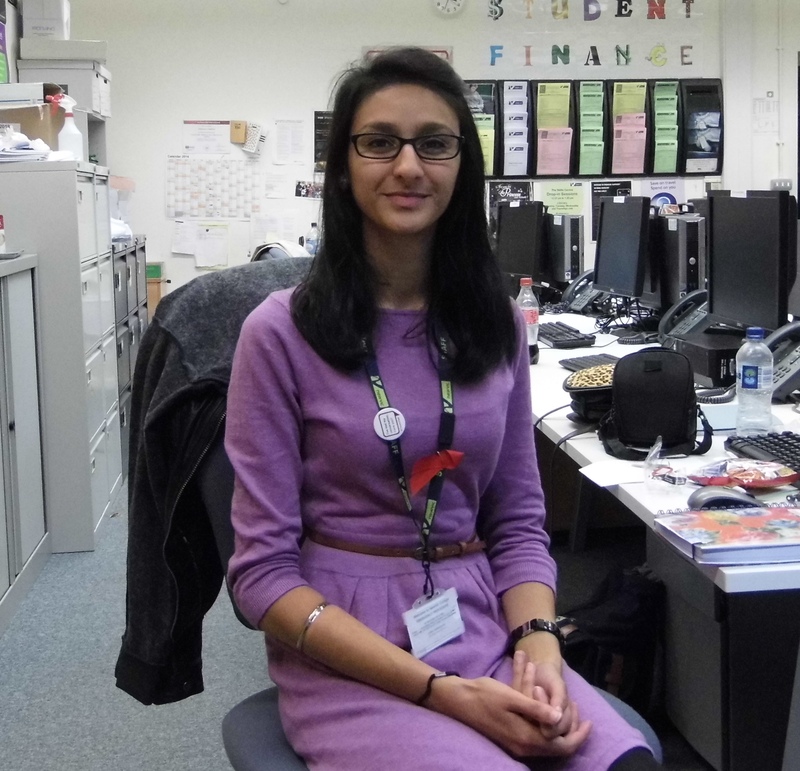 On the other hand, as a mentor, I am helping students with their UCAS applications, speaking about my experiences, giving them things to think about and research, outlining entry requirements and generally encouraging them to be independent and to make a thoughtful and well-researched decision. I understand the indecisiveness and worry that came with making such a big decision. I used to see my tutor, Jenny Willett, every week with my portfolio, and discuss graphical styles or the roles of women in games. Jenny recommended a wonderful book about game culture called ‘Trigger Happy’ by Steven Poole. I even bought my own copy and have since recommended it to several students who have an interest in digital media and videogames. I was particularly interested to see how the college promoted itself and was lucky to be given the opportunity to work with the Community Liaison Officer to attend further education fairs at local schools. I have now spoken to many parents and young people about how NewVIc supports students; drawing on my experiences both as a student and mentor, showcasing how my role is about working one-to-one with students to ensure they develop their study skills. I strike up conversations with prospective students rather than giving them a sales spiel or using statistics. The experience a student can gain at college transcends numbers. I describe the pathways the college offers, speak about the exciting ‘Nrich’ timetable of student development activities, the Sports Academy’s successes and all the great events that take place throughout the year at NewVIc. Since starting working here, I have been involved in law evenings, open days and promotional events at feeder schools, I have been to a talk and screening with a Holocaust survivor, helped out on Mental Health Awareness stalls in college; I have learned so much in my role and have been exposed to many different situations. It is with joy that I returned here and it is the college’s palpable community spirit that makes it a wonderful place to be. I also have a portfolio: http://su-kaur.wix.com/portfolio and a blog: http://su-kaur.blogspot.co.uk/ which is a space for me to share my thoughts about advertising campaigns, books and games, I look at the messages that are being disseminated; I evaluate them and learn from them. I also work on developing the games I made at university in a reflective and critical way so I can see what needs refinement. NewVIc has had a massive impact on me and I am grateful to have been given the chance to give back to this community. My advice to students is to give 110%, do tonnes of research and geek out on what you are passionate about! Read other NewVIc stories here. This entry was posted in Guest blogs, NewVIc and tagged Education, London College of Communication, mentoring, Newham Sixth Form College, NewVIc, NewVIc alumni, University of the Arts London. Bookmark the permalink.